Wipro, a leading global information technology, consulting and business process services company today announced that it has assisted SRL Diagnostics transform its customer care operations by providing successful customer experiences across multiple communication channels leveraging Oracle Service Cloud. SRL Diagnostics, one of India's largest pathology lab networks with 12 reference labs, 4 Centers of Excellence and 281 network laboratories, explored several solutions to improve their existing customer service experience and eventually decided to implement a Customer Relationship Management (CRM) application for its customer care department. SRL partnered with Wipro considering Wipro’s ability to provide full spectrum of services around Oracle Service Cloud which include system integration, change management, and application support. Wipro successfully deployed the Oracle Service Cloud , delivering an enhanced and virtually seamless experience across various touch-points for SRL’s customers. Wipro’s CRM team aided SRL in streamlining their call center operations by leveraging the core benefits of the Oracle Service Cloud and providing an incident tracking mechanism. Wipro also created a unique experience for all call center agents by developing a custom built toolbar for call management, integrated to SRL’s existing customer care infrastructure. Oracle Service Cloud combines Web, Social and Contact Center experiences for a unified, cross-channel service solution in the Cloud, enabling organizations to increase sales and adoption, build trust and strengthen relationships, and reduce costs and effort. The enterprise platform provides transparent reliability, unmatched security, and total Cloud freedom for mission critical customer experience delivery. “We are living in an era, where aligning customer experience with brands has become a prerequisite. Consumers expect a virtually seamless experience when they interact with brands; be it on social media, mobile, website, in-store, through the call center and even while making a purchase online,” said Niraj Kaushik, Vice President, Applications Business, Oracle India. 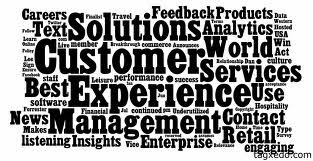 “Oracle’s comprehensive and integrated CX Portfolio will enable SRL Diagnostics to deliver a coherent customer experience Wipro’s CRM team is proficient in implementing Cloud technology and will add further value to our products,” he added. The National Association of Software and Services Companies (NASSCOM) today kick-started its three-day annual flagship NASSCOM Product Conclave 2014 in Bangalore. The conclave builds on the fast growing product and startup ecosystem in the country and provides a platform to engage with thought leaders in the product space, discuss issues of common interest and network with startups and partners to create a common framework for the future of the product startup ecosystem in India. The event will feature 225+ international and national speakers, showcase of 120+ product companies and curated 250+ meetings. The NASSCOM top Emerge 10 companies will also be showcased on the sidelines of the conclave. These success stories are a mixture of burgeoning product innovations and exciting new solutions. The growth of the software product industry in recent years has signaled a transformation - in India and across the globe. With increasing numbers of online active users becoming consumers of e-commerce solutions and the related marketplaces, Indian startups today are building global digital solutions to capitalize on this rapid growth. Hyper-growth, capital availability and acquisitions are the leading drivers of the growing startup ecosystem in India. Indian start-ups today are well positioned to address the entire Asian market opportunity and also expand beyond the US and European region. Panasonic India launched its mobile phone series in Sri Lanka by extending its innovative product portfolio and services to the users in the country. 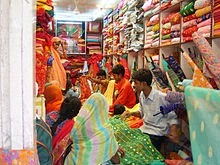 The company will cater to different consumer segments through products in multi-priced segments. The Sri Lankan market has massive potential for growth in the mobile phone industry and there is a huge untapped telecom consumer segment offering a favorable opportunity for Panasonic to establish itself as a credible force in this market. 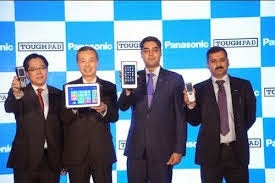 Speaking on the occasion of the launch, Manish Sharma, Managing Director- Panasonic India and South Asia, said, “At Panasonic, we strive to bring together innovation with style and affordability, offering users a seamless experience on our devices. Having built an exhaustive and robust range of smartphones and feature phones in India, starting April 2013, our idea is to empower our customers across the spectrum by providing them with the right value options. With the entry into this market, our ultimate aim will be cater to all customer segments in the country and build a strong and robust distribution network in the country. He further added, Panasonic has recently designated India as the sixth strategic region which will take care of SAARC nations, Middle East Asia and Africa. It is in line with this aim that we are today marking our entry in this region, given the huge market potential that exists in the country. We have also ventured into the Nepal smartphone market and Panasonic is looking forward towards building a stronger brand presence across regions. Over the last five years, Sri Lanka has witnessed a surge in subscriber base driven by a combination of factors like increasing household incomes, expanding mobile network coverage and increasing competition between the mobile operators. 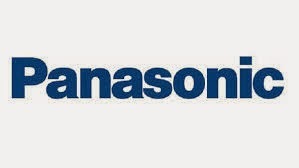 With localization being a vital growth strategy, combined with strong core values, business philosophy and leadership principles, Panasonic aims to reach out to maximum consumers with its wide range mobile phones offerings. 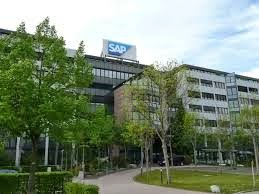 SAP SE has announced its plans to expand innovation capabilities in Singapore with an SAP Innovation Center by the end of 2014, focusing on delivering breakthrough innovations around Smart Cities, Industry 4.0, Healthcare and Digital Consumers. In an increasingly networked economy powered by smart devices, the SAP Innovation Center aims to foster local economic opportunities by identifying untapped market and customer needs and creating new innovative, user-centric products. This involves co-innovation with SAP customers and partners as well as research collaboration with local universities. 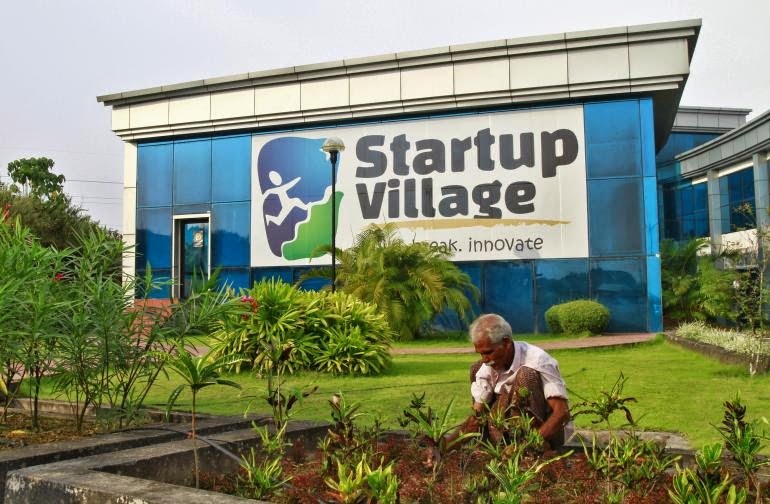 Further fuelling the startup ecosystem, the center will provide local startups with the latest technologies and offer market access to expand their reach. 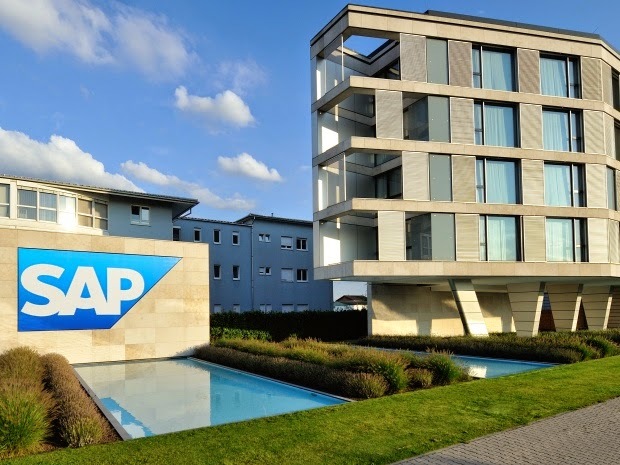 SAP is also tapping on the increasingly vibrant IT ecosystem across the region to identify ideas at an early stage and leverage access to a large pool of the brightest young talent. Under the SAP University Alliances Student Entrepreneurship program, students can develop new solutions across SAP’s technologies leveraging in-memory platform SAP HANA, the SAP Mobile Platform and analytics capabilities. The students will gain access to these technologies, SAP experts, mentors and an entrepreneurship curriculum. 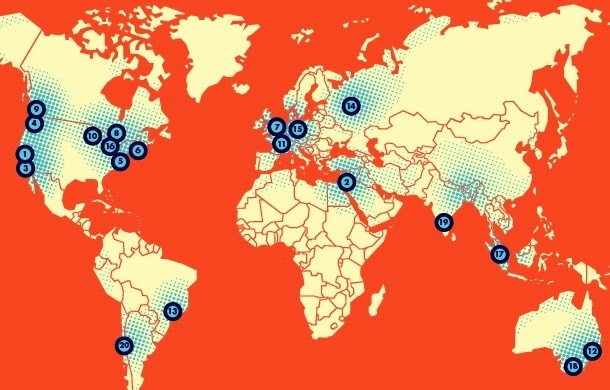 Launched globally in March, the Student Entrepreneurship program was recently announced in Australia, Singapore and India and will be introduced in Japan and Korea later this year. The SAP University Alliances program opens up the world of SAP to more than 1,800 universities in more than 80 countries worldwide, and aims to develop highly qualified graduates with critical skills for the 21st century workforce. Annually, over two thousand tertiary students in Singapore benefit from this program. Through a robust Young Thinkers program, SAP is also expanding its university partnerships to stimulate interest in STEM (science, technology, engineering and math) in youths, address the gap in skills shortage and encourage entrepreneurial thinking. Across the region, this experiential learning program involves secondary/K-12 schools, government agencies and NGOs in Singapore, India and Australia to help youths understand the benefits brought about by Big Data today and its impact on societies, businesses and everyday life. 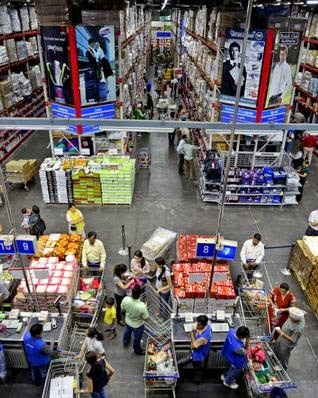 SAP SE has announced that Bharti Retail Limited (BRL), one of India’s leading multi-brand retailers, is strengthening its supply chain, store operations and improve customer experience with the implementation of solutions from SAP. The range of retail solutions from SAP will be used to manage retail processes in addition to improve planning, accurate merchandising and thereby enhance operational efficiencies. With over 210 stores across key cities in 11 states, Bharti Retail is poised to become one of the country’s preferred retail companies. The implementation aims to build a solid foundation for the future and enable the company to bring to Indian consumers the benefits of world class retailing. “It is our constant endeavour to provide localized and personalized interactions, compelling choices and flawless transaction execution to attract and retain customers,” said Raj Jain, CEO, Bharti Retail Limited. “With SAP, we aim to add power to our cart and thereby redefine the overall retail experience for any customer who walks in to our store,” he added. Retailers are operating in a challenging market, coupled with competition from around the world and an abundance of information available at shoppers’ fingertips making today’s shopper more powerful than ever. The ability to respond rapidly to market demands is vital in the dynamic world of retail. Retailers need to operate across channels as efficiently as possible and find new and powerful ways to innovate and differentiate as quickly as possible. To help improve customer relationships, SAP solutions provide the means to turn today’s challenges into opportunities and help drive profitable multichannel retailing by offering retailers better insight to understand their customers and business. Accenture has announced new industry-leading management capabilities for the Accenture Cloud Platform that give organizations the power and flexibility to manage their workloads simply, effectively and more securely across both on-premise private and public clouds. 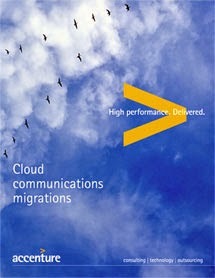 New enterprise-grade capabilities—including flexible cloud integration options and unified billing analytics—delivered via a centralized management control framework, provide the ability to broker, orchestrate, manage and govern multiple enterprise cloud solutions on demand, at speed, from a single platform, with the assurance enterprises expect from Accenture. A new discovery engine and an exposed application programming interface now allows users to access services either through the Accenture Cloud Platform portal, through applications directly, or through the native cloud provider console. This provides flexible integration options and greater resiliency, enabling organizations to stay on top of and leverage new service introductions and innovations from cloud service providers quickly, helping to improve enterprise productivity and competitiveness. The platform also provides a centralized view of usage patterns and unified billing with access to in-depth analytics for visibility of overall cloud spend, providing full budgetary control. Since its launch last year, hundreds of clients—in industries ranging from insurance and oil and gas, to media and entertainment—have already leveraged the Accenture Cloud Platform to rapidly access private and public cloud while maintaining control and oversight. A key enabler for helping clients make the journey to hybrid cloud, the vendor-neutral Accenture Cloud Platform supports private and public cloud technology from a broad range of leading global providers such as Amazon Web Services, Microsoft Azure and NTT Communications, among other. * Managed service model. 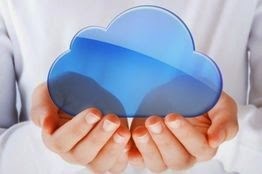 Now cloud management is delivered as a service to enterprises via a fully automated, self-service model. The platform can be delivered in a matter of days or weeks in a consumption-based model. This provides ultimate flexibility in composing the set of management tools that are most appropriate for individual needs. * Public and private cloud integration. The platform now enables the management of on-premise private cloud solutions built on Open Stack, VMware vCloud Suite and others. * Application and platform blueprinting. Containing all the key information to successfully build a complete compute stack and deploy applications in the cloud – including server, software, storage, network, images and firewall details, and how they all relate—the Accenture Cloud Platform’s automated, self-service blueprints enable multiple cloud services to be bundled, provisioned and deployed from a single model across public and private cloud providers while adhering to enterprise architecture guidelines and policies. * Strong security and reduced compliance risk. The Accenture Cloud Platform offers fully automated, self-serve and managed security services like patching, back-up, monitoring and the ability to set policies for networks, machine sizes and images with full integration to an enterprise directory to ensure authorized, role-based access. * Increased control and governance. The platform simplifies oversight by providing central monitoring of service usage and delivery across multiple services and private and public clouds. A one-stop-shop to request and provision pre-approved cloud services, the platform also provides policy management and approval workflow control, along with a suite of billing, chargeback and cost analytics, helping to make enterprise management and scale of cloud services easier. This announcement is part of Accenture’s investment of more than $400 million in cloud technologies, capabilities and training by 2015 to focus on delivering the right cloud services from its network of providers, as well as blending its own industry solutions and innovations with third party offerings. 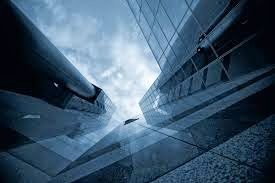 Accenture has worked on more than 8,000 cloud computing projects for clients, including nearly 75 percent of the Fortune Global 100, and has more than 14,000 professionals trained in cloud computing.